Starting a new career as a real estate agent can be intimidating, to say the least. Gone are the days of that “guaranteed” paycheck that most people depend on to survive. This is one of the main reasons that many people decide to “test the waters” before devoting themselves full time as a new agent. It’s a lot easier to keep your full-time job as security when first starting out, and for many people it is the only way to begin what they hope is an exciting and successful new career. The truth is that many agents began as part-timers, and some have remained that way for many years. This type of situation is perfect for single parents, persons looking to supplement an existing income, or retired persons who want to stay active and involved. While it is completely possible to be successful as a part-time agent, there are some important points to consider before deciding whether it will work for you. Keep in mind that brokers fail or succeed as a direct result of the efforts of the agents who work for them. Office space and other resources provided by the broker need to be allocated to those who are producing results. The limited work schedule of a part-timer usually equates to less business, and it is possible that some brokers simply won’t (or can’t) provide these things to someone who is producing fewer results. 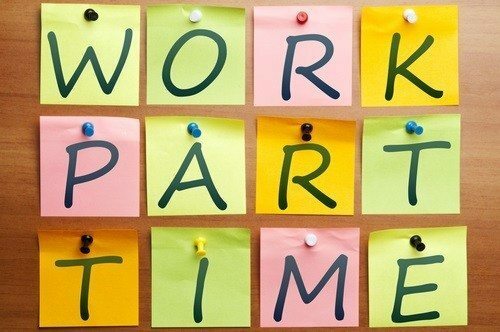 That’s not to say that brokers don’t hire part-time agents, but it does mean that you need to find the right broker for your situation. Take the time to find a broker who is well-suited for part-time agents. One of the most difficult challenges that part-timers face is scheduling. Obviously it’s not easy to be available for your clients at a time that is good for them if you work limited hours. This is especially true of buyers who want to see new homes. Other facets of the job (such as dealing with title companies or lenders) are more manageable due to the fact that they usually operate during “normal” business hours, but if you work elsewhere during this time period getting things done might become quite difficult. It can be done but you will need to be a true expert at organization to keep it all flowing smoothly. Try as you might, there will be times that you just can’t accommodate the timing requirements of others. This is not the end of the world, and the best way to deal with this situation is to ask other agents to help you when you simply can’t accommodate a client at a time that they insist upon. This happens to busy full-time agents as well, and the usual arrangement is that you must compensate the other agent for their assistance. You will want to work this out with others in advance so that everyone understands what is expected of them and mishaps can be avoided. If you are planning to continue your current employment, as well as work as an agent, be prepared for long days and busy weekends. You already know that evenings and weekends are prime time for agents, and finding the time for a day off or vacation is going to be difficult if you want to succeed. Burnout becomes a real possibility, and, as I stated earlier, you will need to be a “master of scheduling” in order to juggle two different occupations at the same time. I hope that all of this doesn’t seem discouraging to you if you are considering real estate as a part-time career. There are many part-time agents who do quite well with a limited schedule each week, but it is important that you understand the challenges ahead before spending your time and effort only to find out that it might be a bit too much for you to handle. This post by Valorie L. Ford, a real estate agent in central Virginia, originally appeared on ActiveRain.